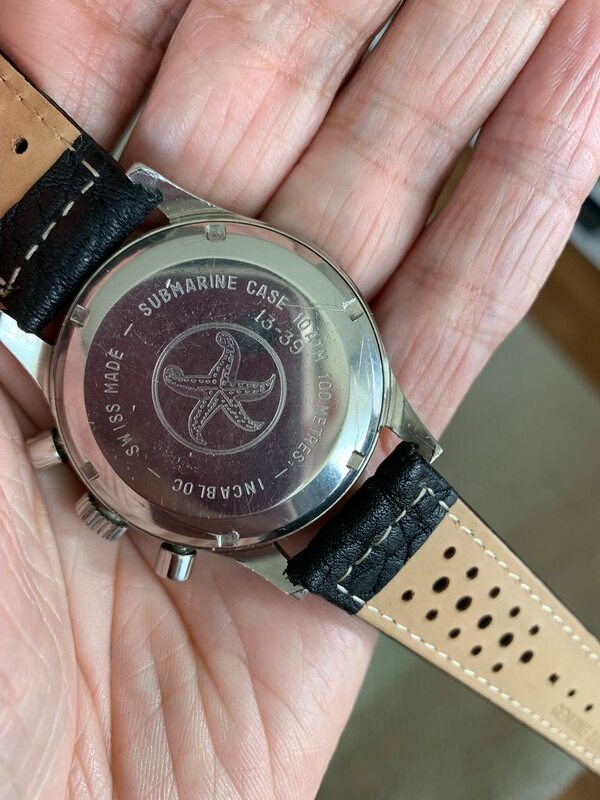 I have this beautiful Clebar yachting chronograph for sale. It has a beautiful blue/purple sunburst dial with gorgeous patina and a lollipop hand! The indices and hands have its original tritium lume. 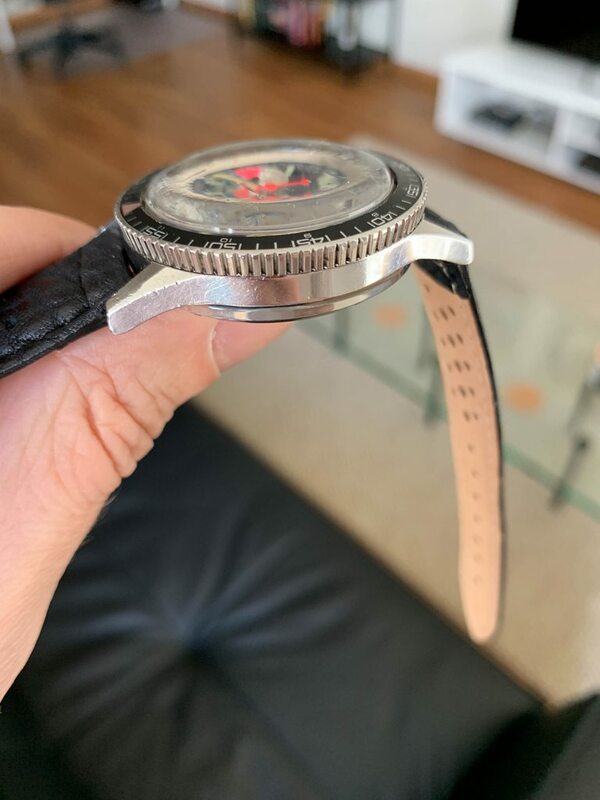 The stainless steel case is unpolished and in good condition. 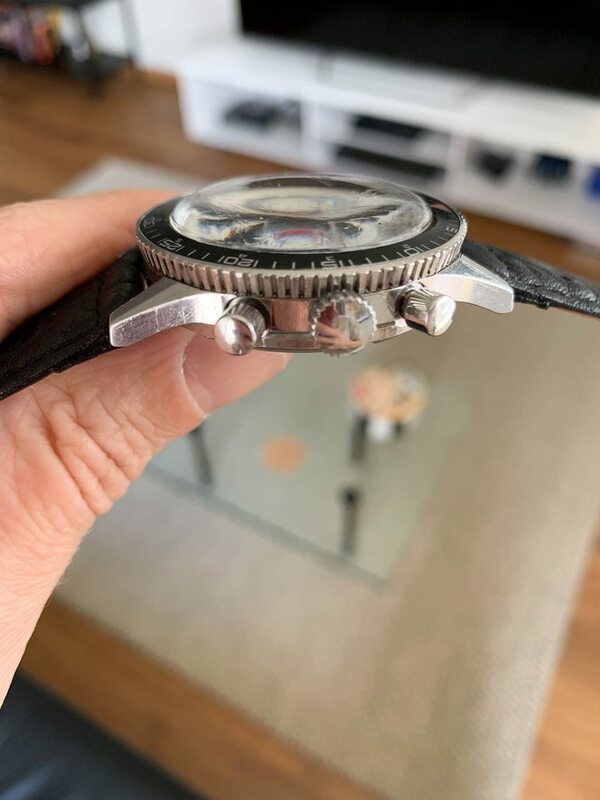 It measures 39mm without the crown. The 7733 valjoux movement is keeping good time. 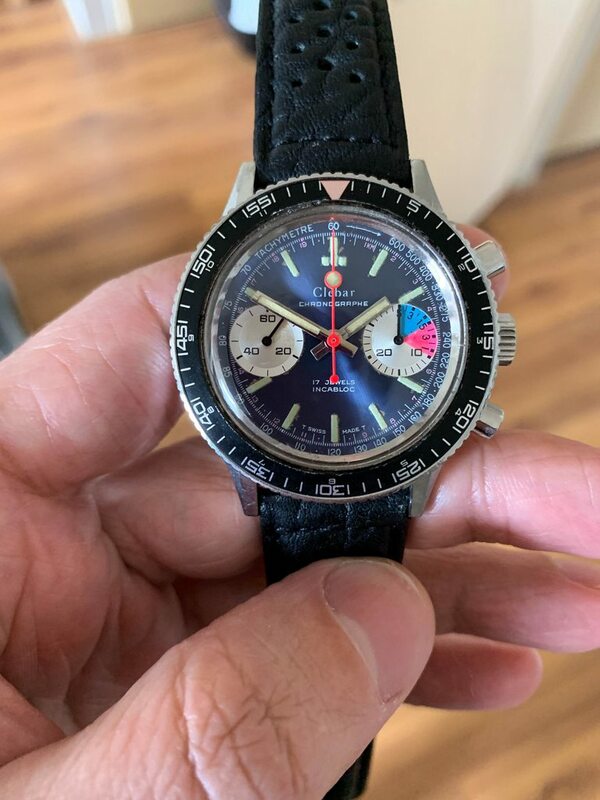 The chronograph is functioning fine. The service history is unknown to me. The watch comes on a new black leather rally strap. I'm looking for 1000 euro including free world wide shipping.